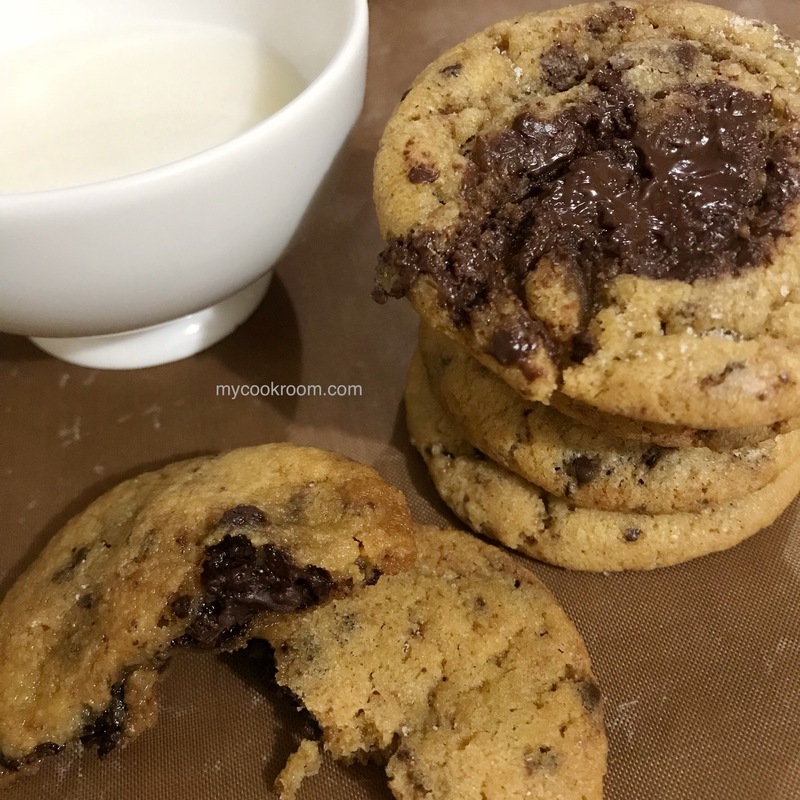 more–> There are soo many gorgeous pict of food on Instagram, too many, and im easily tempted to try recreate those recipe..
Then, one lazy afternoon, i was just laying around on my bed, and i stumbled to the Spelt Choco Chips by @thaliaho and i was stunned!! I have to recreate those choco chips. And since i cannot find any Spelt Flour, i used all purpose flour. And use highest quality chocolate that you can get to create the best of the chocolate chips. Mix the rest of the flour to the mixture until just combined. Add the chopped dark chocolate, mix until evenly incorporated. Cover the bowl with plastic wrap. Rest the dough in the fridge for 30 minutes. 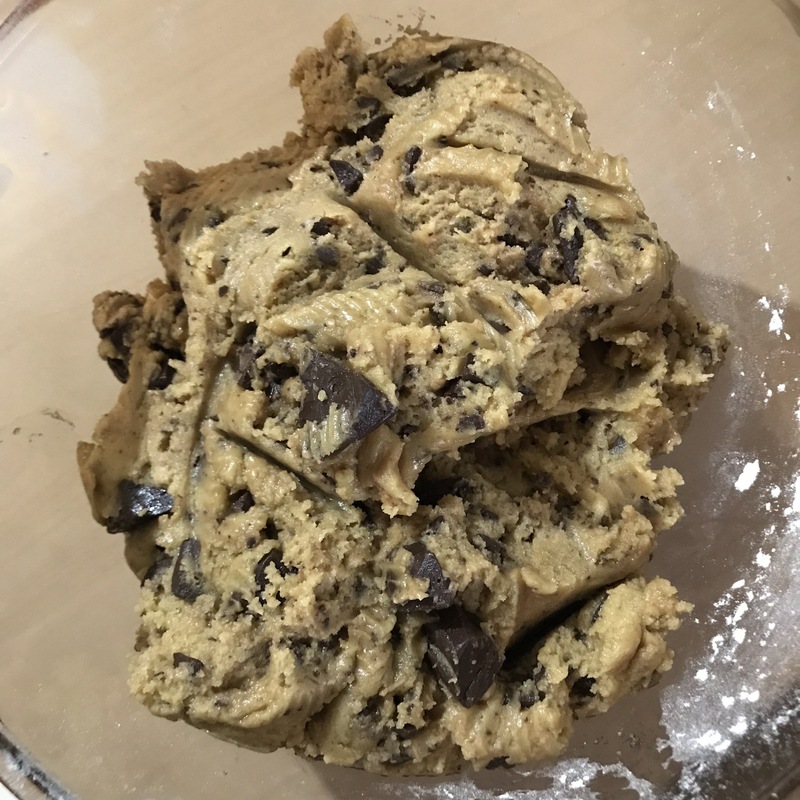 Roll out a 2,5cm in diameter cookie dough to baking tray, give 5cm distance between each cookies. Baked then 8-10 minutes, rotate tray halfway trough baking to ensure they baked evenly. The cookies should be still feel moist, then it will be harden while its cooled. Sprinkle with salt as soon as the cookies out from the oven.